Delivering best practice to your business. Continuously. 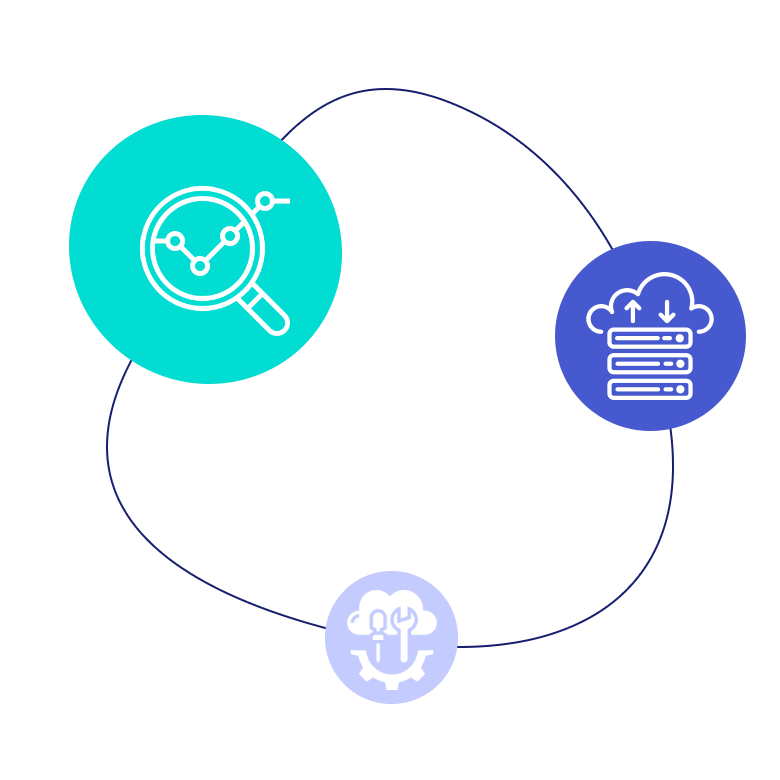 We have a number of assessment tools that provide insight into your cloud costs, security and performance with an action list of how to improve. For new projects, we will help you clarify your needs to find the right solution. Given the results of our assessment or workshop, we can take action to optimise your existing cloud infrastructure resulting in savings of up to 40%. From rightsizing to resale, we've got you covered. Our team provides 24/7 technical support for your mission critical workloads - whether they're in our data centre or in the cloud. Get peace of mind knowing we always there when you need us. Our methods are based on continual process and service improvement. We are investing in leading monitoring solutions to always give our clients the edge in performance, security and change control. A virtuous cycle, not a vicious circle. Every 3 months we visit our clients face-to-face. Our business reviews are not just a deep-dive into retrospective performance and incident management, but a forward-looking exercise where we have a chance to keep clients apprised of any anticipated risks, changes or improvements they can achieve. Of course, this is on top of continuous network and security monitoring, backed by an award-winning team and competitive SLA. Not just process. We make the cloud a safer place for our clients. Automated configuration, deployment and monitoring ensure that your system is resilient and responds to trouble quickly. We are Investors in People, ISO 27001 and Cyber Essentials accredited. We will work with you to create the secure combination of people, processes, and technology that keeps data safe. It's not just our method or expertise that sets us apart, it's a team that you can count on to deliver results even under the toughest of circumstances for over 15 years. Book a meeting or workshop with us.